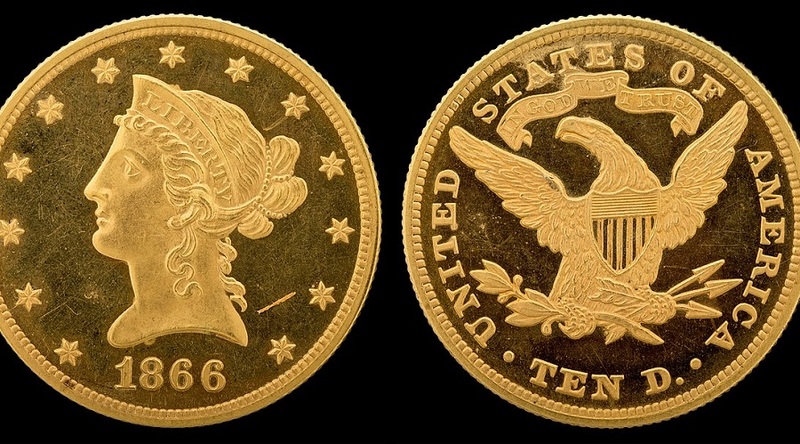 1866 Liberty Head. Photo by US Mint, Public Domain. Sales of U.S. Mint American Eagle gold coins dropped to their weakest April since 2007, while silver coin purchases for the month rose 10 percent higher than last year, U.S. government data showed on Monday. The U.S. Mint sold 4,500 ounces of American Eagle gold coins in April, down 25 percent from the year prior. However, April sales were up 29 percent from March. During April, spot gold prices rallied to a 2-1/2-month high of $1,365.23 per ounce as concerns over escalating tensions in Syria, U.S. Sanctions on Russia and the U.S.-China trade stand-off weighed on stock markets and helped to knock the dollar index to a two-week low against a basket of currencies. But later in the month, spot gold prices dipped after the Federal Reserve said the U.S. economy remained on track for continued growth and signaled more interest rate hikes for the year. Higher interest rates make gold a less appealing asset to investors since it does not draw interest. U.S. retail investors have also gradually lost their appetite for physical gold as buoyant stock markets offered tempting alternatives, and more coins were being sold back onto the market, further eroding demand for newly minted products. The U.S. Mint sold 915,000 ounces of American Eagle silver coins in April, the data showed, unchanged from March. April silver coin sales were 9.6 percent higher than in 2017. Reporting by Renita D. Young; Editing by Sandra Maler.